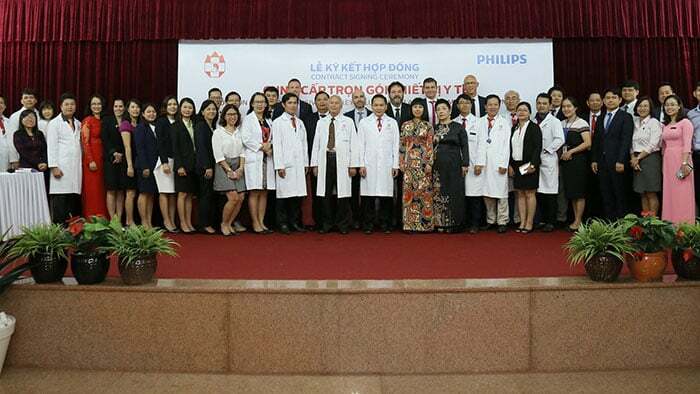 Royal Philips (NYSE: PHG, AEX: PHIA), a global leader in health technology, and Hong Duc General Hospital in Ho Chi Minh City in Vietnam today announced a seven-year partnership agreement covering a comprehensive turnkey solution for high quality general healthcare services. Philips will provide the newly-built Hong Duc General Hospital II with the latest medical imaging, patient monitoring and healthcare IT solutions. In addition, Philips will deliver comprehensive training programs to strengthen the hospital’s clinical capabilities and design services to optimize workflows and enhance the patient/staff experience, with the aim of delivering better clinical outcomes.